While we specialize in resale properties we have rental specialists we work with that have many lovely properties available that will meet all your rental needs in Paphos. Whether you are looking for a short term stay, long term or a few days of holiday, we can point you in the right direction. They have fully furnished holiday properties available with private pools and all amenities provided throughout the year. They have modern villas, holiday apartments and quaint, traditional stone homes that can accommodate you, your friends and loved ones for your entire holiday in Cyprus. 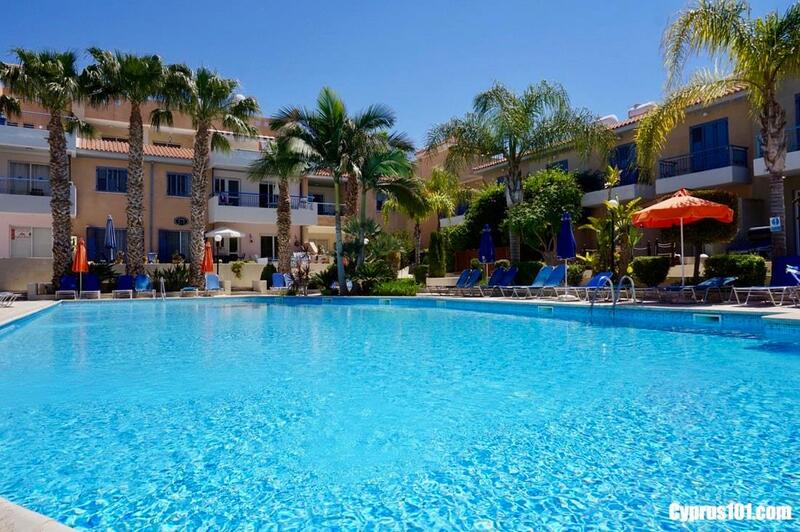 To see our 2 Bedroom Holiday Property in Kato Paphos which is available for one week at the rate of 475 Euros please click this link. (Photo of property above). Our local, rental colleagues have long term rentals for those who are relocating to the Paphos area, both furnished and unfurnished. View all these listings on our partner website where you will see detailed descriptions and many photos of luxury villas, bungalows, apartments and traditional village houses available for rent and for sale in Cyprus. If you can't find the property or information that you seek, just contact us with your requirements or questions and we will be happy to help you find the right property. "Discover Cyprus and Experience How a Real Holiday Feels!" Whether you are looking to rent short term or long term, fill out the form below and let us know what you are looking for! We'd love to hear from you!